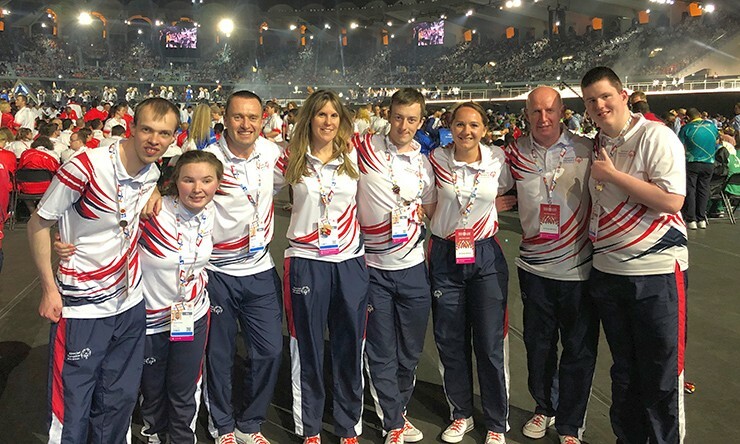 A very Special Olympic Bronze for Team GB when Jamie Cairns and unified partner Darren MacGregor received bronze medals at their first World Games in Abu Dhabi this past week. Cairns and MacGregor, from Renfrewshire, were awarded a Bronze Medal in the Division 2 fleet. Their team mates Shannon McGhee and Laura Carrick were 4th in Division 3, while Lewis Nicolson sailing with Mick Kelly finished 5th, but of course the experience was much more than just the sailing. It was certainly not conditions they were used to sailing in back home on Castle Semple Loch, where they started their journey through charity Able 2 Sail. There were 15 countries with around 40-50 sailors competing on the water across four differing divisions in reefed down Bahia dinghies. Lewis Nicolson looked very content and happy around the experience next to his unified partner Mike Kelly. RYA Sailability coordinator and Chief Instructor David Hill became Competition and Coaching advisor for the team, which gave him many roles in getting to the World Games this year. “We have had endless laughs along the way mainly at each other. Overall it was a great experience, very long days in the heat but well worth it.